On NewsHour Weekend Saturday, we travel to Alqosh, a Christian town in northern Iraq just 30 miles from the ISIS stronghold of Mosul. Alqosh was overrun last summer by ISIS fighters and then recaptured with the help of Iraqi Christian and Kurdish militias this past August. Fighting to protect Alqosh is an Assyrian Christian militia known as Dyvekh Nawsha. But who are the Assyrian Christians? Here are eight things you should know about this ethnic minority group, whose members are spread across the world. Assyrian Christians — often simply referred to as Assyrians — are an ethnic minority group whose origins lie in the Assyrian Empire, a major power in the ancient Middle East. Most of the world’s 2-4 million Assyrians live around their traditional homeland, which comprises parts of northern Iraq, Syria, Turkey and Iran. In recent years, many have fled to neighboring countries to escape persecution from both Sunni and Shiite militias during the Iraq War and, most recently, by ISIS. Members of the Assyrian diaspora are spread out all over world, including roughly 100,000 in the United States, according to a 2009 U.S. Census Bureau survey. The official language of the three main Assyrian churches is Syriac, a dialect of Aramaic, the language Jesus would have spoken. Many Assyrians speak Aramaic dialects, though they often speak the local languages of the regions where they live as well. Assyrians have been the victims of persecution for centuries, including the Assyrian genocide, in which the Ottomans killed at least 250,000 Assyrians during World War I. Iraqi Assyrians have faced increased persecution following the U.S.-led invasion in 2003, including attacks on Assyrian churches – some estimate that 60 percent of Iraqi Assyrians have fled the country since the Iraq War began. 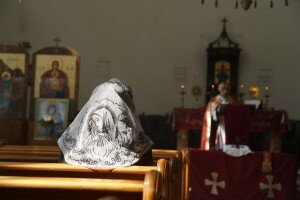 Tens of thousands of Assyrians in Northern Iraq have fled persecution at the hands of ISIS, which demands that Christians living under its control take down their crosses and pay the jizya, a tax on religious minorities. Those who do not pay face a choice between exile and death. ISIS has also attacked Assyrian villages, killing or imprisoning hundreds. Assyrian leaders, describing ISIS’s campaign of violence against Assyrians as genocide, have called on Western governments and international organizations to intervene against ISIS and to provide aid for Assyrian refugees. 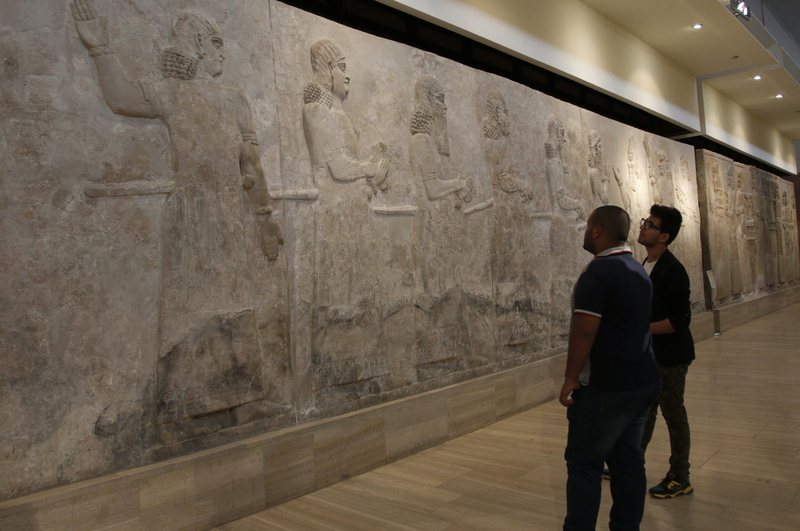 As part of an effort to rid their territory of pre-Islamic relics, ISIS militants have destroyed ancient Assyrian artifacts at the Mosul Museum and razed the remains of ancient Assyrian cities. Assyrian groups have renewed calls for the creation of an Assyrian autonomous region in Northern Iraq’s Nineveh Plains, a traditional Assyrian stronghold.